Parents pack school lunches and give their kids snack when at home but during holidays like Easter and Halloween, you may need to make sure you are extra prepared with some treat options that might be better for your kid’s teeth. The average American eats about 150 pounds of sugar per year which is a lot; especially for a kid. This can take a real toll on your teeth. Most people can handle some aches and pains, but a toothache can really put you down. During holidays like Halloween and Easter, candy is given to kids in celebration. Did you realize that there are options you can choose that are better for your kid’s teeth and some that are much worse. This list can help you before you head to the store to get your treats for the Easter, trick or treat baskets or any other time of year you wish to give your children a sweet treat. Chewy Candy – Chewy and sticky candy is a bad choice for teeth in general and especially bad for kids who may not clean their teeth as well. This includes candy like taffy, gummy worms or bears, fruit snacks, and even fruit roll ups. This type of treat gets stuck in the cracks and crevices and makes it nearly impossible to wash away with water. This can cause tooth decay especially when the sticky food is not removed at the end of the day with brushing and flossing. 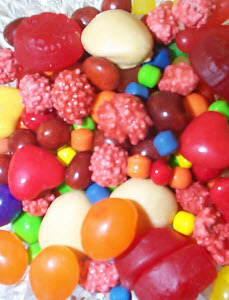 Sour and Sugary Candy – Sour candy has a lot of acid and that makes the enamel brake down on the teeth. The good thing is that saliva breaks down the acid and neutralizes the effects. The best thing to do is to wait for about 30 minutes after eating sour candy to let your own saliva work through the acid before brushing. Sugar causes tooth decay, so any candy that is high in sugar such as cookies and cakes are not a great choice. Dark Chocolate – This is a great choice for a treat for kids. Dark chocolate has some antioxidants that are good for your health. This can help lower blood pressure and lower cholesterol. It also does not stay stuck in the teeth. Sugar Free – There are sugar free candy, gum and treats available. They may not taste quite the same as the sugar loaded candy that kids may be used to, but there are a lot of options available. This will help with tooth decay because it has no sugar which is the part that aids in the decay. It also a known fact that sugar free treats cause your mouth to salivate more. This is good because if your mouth is dry it will allow plaque to build up faster on teeth. As responsible parents, it can often become difficult to find the balance between knowing when your child is in need of professional medical attention or when they have just experienced a few bumps or bruises. Although a simple knee or elbow scrape are both common mishaps of childhood, they have the ability to send you or your child into quite a bit of a panic. Broken bones and head trauma are no brainers when it comes to deciding whether or not to go to the emergency room. But what about problems that arise with the oral health of your child? It is hard to know when a toothache is more than just an annoying pain or what to do when your child takes a serious spill on his skateboard and comes up missing half of a tooth. The most common kid’s dental emergencies include teeth that have been knocked out, teeth that have been chipped and severe tooth aches. If a permanent tooth is knocked out, it is important to save the displaced tooth if possible, so getting to the dentist as soon as you can is extremely necessary. If your child has experienced chipping a tooth; that chipped tooth is now more at risk of becoming infected than any other tooth. Fortunately, if the piece of tooth that chipped off is saved, Dr Jaren at Smile Reef may be able to bond it back onto the existing tooth. A severe tooth ache can be the cause of many different reasons. Sometimes having food stuck in between teeth can cause an intense amount of pain for children. If this is the case, use dental floss to dislodge the food as best as you can. Swollen gums often indicate a type of infection which can be something as serious as an abscessed tooth. If left unchecked, a tooth ache can develop into a bigger problem eventually requiring a root canal which is not enjoyable! 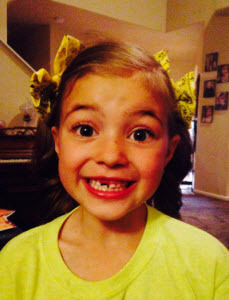 Smile Reef Dentistry Handles Children’s Dental Emergencies! At Smile Reef Dentistry, our staff is prepared to handle any dental emergency your child may have. In the event that a traumatic dental accident occurs, it is important as parents that we stay calm. Our children are more likely to stay calm when they know everything will be alright and they will be taken care of soon. We all hope no serious traumatic dental emergency will befall our children, however, accidents do happen. Smile Reef Dentistry will happily assist you in assuring your child that they will be okay and take care of their specific needs and making sure they get 100% of their smile back. Contact Smile Reef Dentistry to take care of your child’s dental emergencies.